How do I change the navigation menu order? 1. Open the page you want moved in edit mode. To clarify, edit the page that you want to appear in a different position on the main menu. 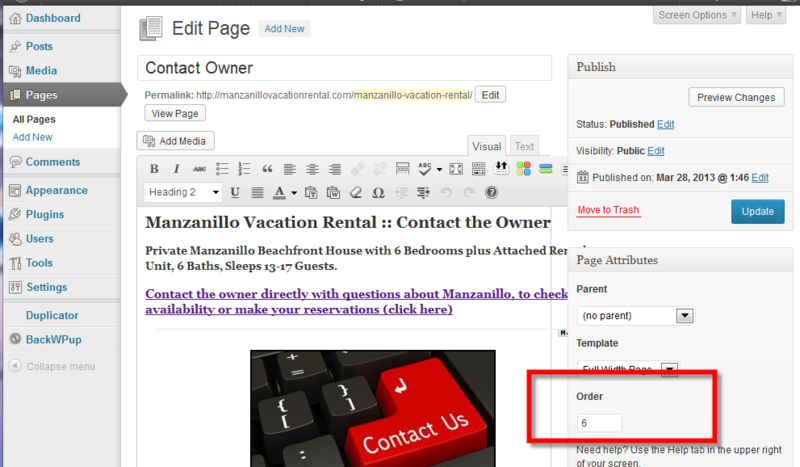 While looking at the page in edit mode, scroll down and find Page Attributes -> Order, on the right. Set the number and save. Larger numbers move to the right. 2. 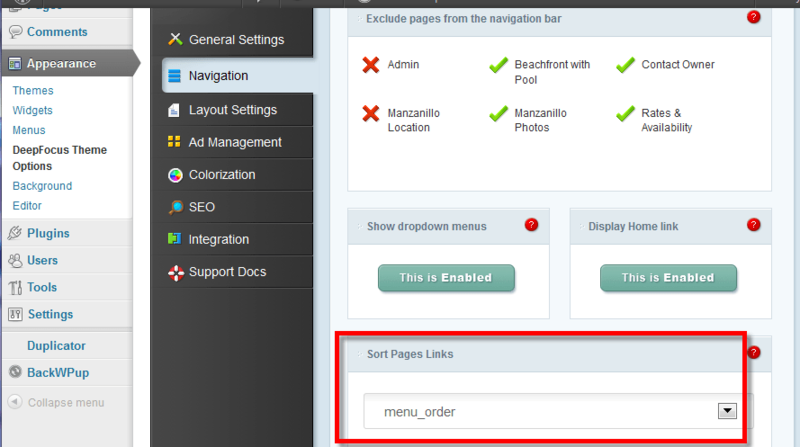 Next, while in WorpPress Dashboard, find Appearance -> Theme Options -> Navigation -> Sort Pages Links. Use the drop-down to pick menu_order, then save. With decades of experience setting up and running businesses, we can take care of all your website design, marketing & business automation details. Full service & support for every customer, whether it's your very first website, or driving your business to the next level. Get a quote. or call today 250-308-4905.